EMDR Essentials - Description | W. W. Norton & Company Ltd.
Today, eye movement desensitization and reprocessing (EMDR) therapy is a widely used integrative protocol to help individuals access and overcome their traumatic memories. However, many—both clients and practitioners alike—still know very little about it, or are badly misinformed. To those not familiar with it, EMDR can seem overly theoretical and abstract, and if it’s not practiced correctly, can be ineffective, or worse, harmful. 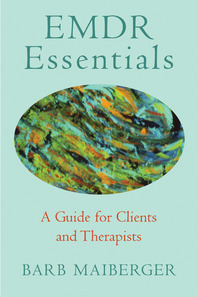 But with a skilled therapist to carefully guide and facilitate the process, as the author writes, “relief is so great it often feels like magic.” The purpose of this concise handbook, written by a veteran EMDR practitioner, is to explain EMDR in a simple, straightforward way so that that readers will know what to expect and how to prepare themselves for treatment. Many books on the subject delve into the theory or technical aspects of EMDR. This book does just the opposite. 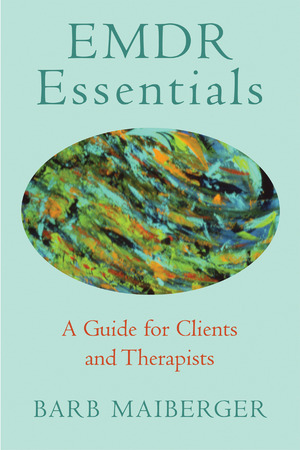 Maiberger focuses on the basics in an easy-to-read way so consumers and therapists alike can quickly understand what it’s all about. The first part of the book lays the framework, describing the phases of EMDR treatment, the nature of trauma and its effect on memory, how to choose an EMDR therapist, safety issues, and answering why EMDR works and how it can work for children. In the second part of the book, case examples are presented from the author’s clinical experience that put it all into practice, demonstrating exactly how EMDR therapy can successfully resolve deep emotional problems and traumas.